A new survey released by QuickBooks Self-Employed reveals 32 percent of self-employed workers admit to not reporting all their income. The data further reveals that 36 percent don’t do taxes at all. Of those who don’t pay taxes, 9 percent admit to not having a reason (they “just didn’t” pay taxes), 17 percent say they didn’t make enough to owe taxes, and another 10 percent say they had losses that exceeded their profits so they didn’t owe any tax. 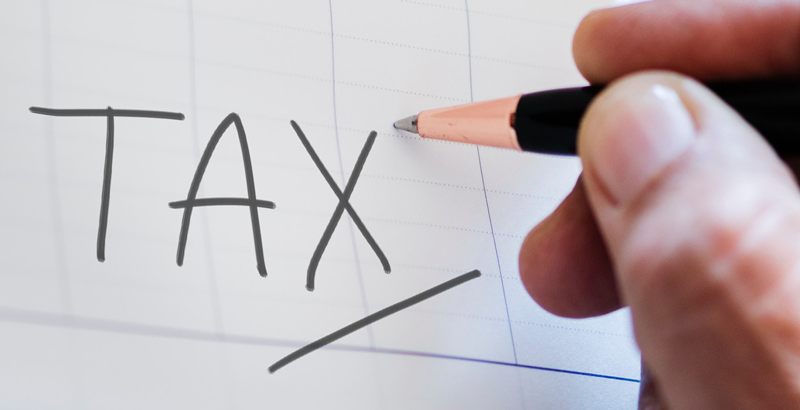 One-third of self-employed workers have gotten behind on paying their taxes in the past, are currently behind on their taxes, or expect to be in the future. Fourteen percent of self-employed workers are currently behind on paying their taxes and another 10 percent expect to be. More than 1 in 3 of self-employed workers have been audited by the IRS and nearly a third of those audited had errors on their taxes. Younger workers are much more likely to have been audited by the IRS. Forty-six percent of 18- to 24-year-olds surveyed say they have been audited, compared to only 11 percent of those 55 and older. More than a quarter of self-employed workers think they will pay more in taxes as a result of the recent tax reform, and almost 10 percent of self-employed workers didn’t know about the recent tax reform at all. More than two-thirds of self-employed workers aren’t using software to file their taxes. Thirty-one percent still file on paper and nearly a third use an accountant. Forty-two percent of self-employed workers age 55 and older file their taxes using software, making them the most likely to use tax software. Only a third of 18- to 24-year-olds use tax software. The most common tax-related challenges facing self-employed workers are filing forms correctly and keeping track of their paperwork. 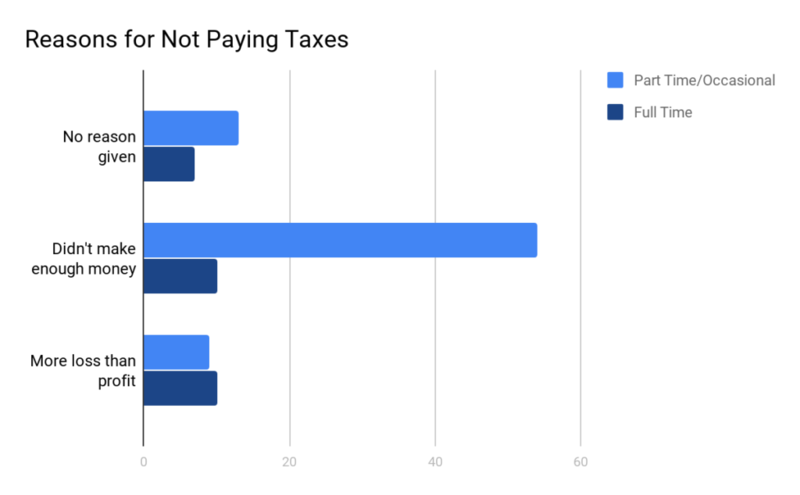 The survey of 501 employees — conducted for QuickBooks by Pollfish in March 2018 — also looks at the correlations between the answers given to reveal more about their tax habits. A more in-depth breakdown of the data is given below. Self-employed workers aged 18-34 years struggle more with filling out tax forms correctly, while self-employed workers age 35 and older struggle to keep track of paperwork. 35 percent of 18- to 34-year-olds say they struggle with filing tax forms correctly, while only 25 percent of workers age 35 and older say they do. Only 25 percent of 18- to 34-year-olds say they struggle to keep track of tax forms, while 35 percent of workers age 35 and older say they do. The digital breakthrough has yet to come. Over two-thirds of self-employed workers are not filing taxes using software. 31 percent still file using paper. 32 percent file using an accountant. The most common reason people hire an accountant is because they don’t want to do their own taxes. 35 percent of those who use an accountant have never done their taxes and don’t want to. 18 percent of those who use an accountant don’t want to waste time doing taxes themselves. 17 percent of those who use an accountant tried and failed to do their own taxes. Older self-employed workers see accountants differently. 50 percent of those who use an accountant and are 55 years or older view their accountant as an essential business advisor. Only 27 percent of those under 55 years old view their accountant as an essential business advisor. Those under 55 who use an accountant tend to use one because they have never done their own taxes and don’t want to (37 percent admit to this). Older self-employed workers are the most tech savvy. Workers 55 years and older are the most likely to use tax software to file their taxes, with 42 percent using tax software. 32 percent file on paper. 21 percent use an accountant. Exactly a third (33 percent) of 18- to 24-year-old self-employed workers file their taxes on paper. This is higher than the average self-employed worker (31 percent). 28 percent use an accountant. Nearly 1 in 10 self-employed workers didn’t know there was any tax reform. 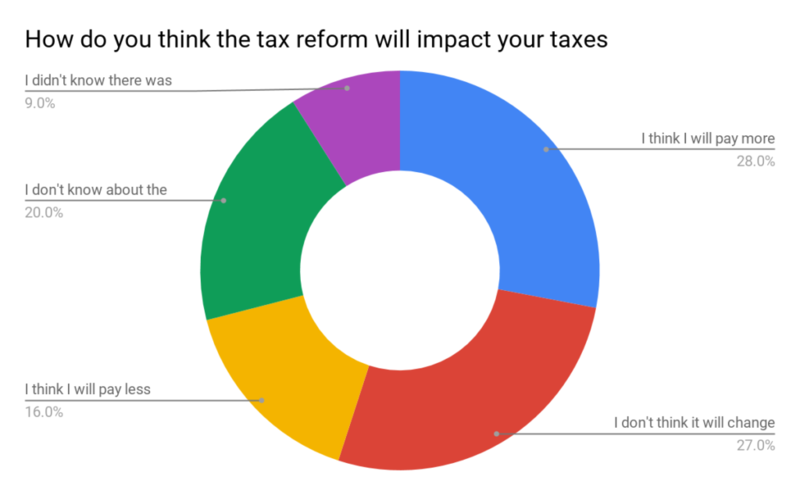 28 percent think they will pay more in taxes because of the recent tax reform. 27 percent don’t think it will impact how much they pay in taxes. 16 percent think they will pay less in taxes. 20 percent don’t know how it will impact their taxes. 9 percent didn’t know there was any tax reform. Being audited by the IRS is common for self-employed workers. 36 percent have been audited by the IRS. Almost 1 in 3 (32 percent) of those who were audited had errors on their taxes. This number is higher for part-time/occasional self-employed workers. 50 percent of those audited had errors. 19 percent of those with errors had major errors. Younger self-employed workers are audited more. Only 11 percent of workers over age 54 have been audited. 46 percent of workers aged 18-24 years have been audited. It’s easy to get behind on your taxes when you’re self-employed. One-third (33 percent) of self-employed workers say they have previously gotten behind, are currently behind, or will be behind on paying their taxes. 14 percent are currently behind on paying their taxes. Nearly 1 in 5 (19 percent) have previously been behind on paying their taxes. 10 percent expect to be behind on paying their taxes in the future. 36 percent of self-employed workers say they don’t pay any taxes. 9 percent just didn’t pay taxes. 17 percent say they didn’t make enough money to pay taxes. 10 percent say they had losses exceeding their profits so they didn’t owe taxes. Part-time/occasional self-employed workers are less likely to pay taxes, but mostly because of how much they make. Over half (54 percent) of part-time self-employed workers don’t pay taxes compared to only 27 percent of full-time self-employed workers. 31 percent of those part-time/occasional self-employed workers say they don’t make enough to pay taxes, compared to 10 percent of full-time self-employed workers who didn’t make enough to pay taxes. Self-employed workers don’t report all their income. 6 percent of self-employed workers don’t report any of their income. 13 percent report half of their income or less on their taxes. Only 68 percent report all of their income on their taxes. Workers who are most likely to report none of their income are 45 years or older. 10 percent of workers 45 years or older reported none of their income in taxes. 7 percent of workers aged 18-24 years old reported none of their income in taxes. Part-time/occasional self-employed workers are twice as likely to underreport their income compared to full-time self-employed workers. 1 in 10 full-time self-employed workers reported 50 percent or less of their income. 3 percent of full-time self-employed workers didn’t report any of their income for taxes. Nearly 1 in 5 (18 percent) part-time self-employed workers reported 50 percent or less of their income. 10 percent of part-time/occasional self-employed workers didn’t report any of their income for taxes. Part-time/occasional and full-time self-employed workers differ when it comes to their biggest challenge. Full-time self-employed workers struggle most with getting paid on time (32 percent). Part-time self-employed workers struggle most with motivating themselves (41 percent). Workers aged 18-24 are the least likely to be self-employed full-time and are the most likely to be self-employed part-time/occasionally. 59 percent of 18- to 24-year-olds in the sample say they are self-employed full-time, compared to 79 percent of workers age 55 and older. 48 percent of 18- to 24-year-olds in the sample say they are self-employed part-time/occasionally, compared to 21 percent of workers age 55 and older. This article was provided by Intuit from “QuickBooks Self-Employed.” For any questions about the data from QuickBooks for your own analysis, contact patrick_adcock@intuit.com. Methodology: QuickBooks commissioned Pollfish to survey 501 self-employed workers in the U.S., aged 18 years and older, between March 29 and March 30, 2018.